What African Retailers need to do to go mobile and online? 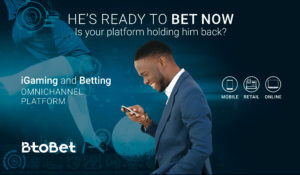 Exploring the potential in the African population, the boom in mobile users, and the increase of internet penetration in Africa, it is evident that there is a need for Omnichannel solutions to manage the growing gambling market in the country. But how can African Retailers do this? 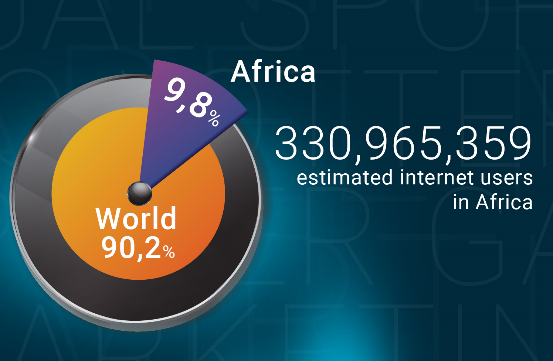 The current population of Africa is over 1 billion and the target of people between 18 and 44 years old that are engaged in mobile and internet operations represents more than the 25%. In growing markets such as the African demographic, the government has steadily invested in undersea fiber-optic cables and infrastructures, and data related to the mobile and smartphone users – particularly in Nigeria, Egypt, and Kenya and Tanzania in East Africa- is overwhelmingly positive. These promising signs highlight the growing potential of mobile and online gaming. 10% of internet penetration in Africa can appear low but relevant when taking into consideration the rapid increase in recent years. 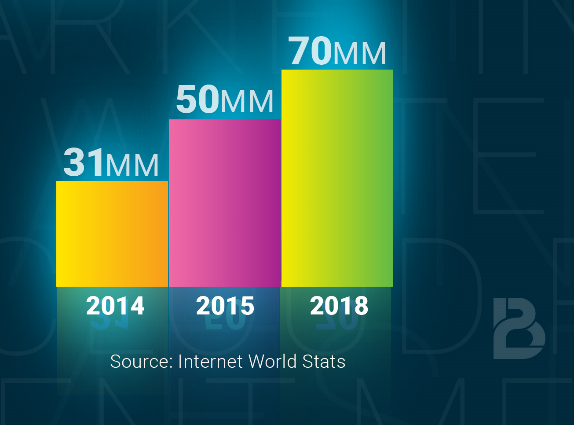 In 2014 Eastern Africa accounted for around 31 million internet users, while in 2015 the number of internet users rose to an approximate 50 million and a projection for 2018 predicts more than 70 million internet users. Concerning Mobile, users and players are principally male, aged between 18 and 35, and interested in online betting and technology. 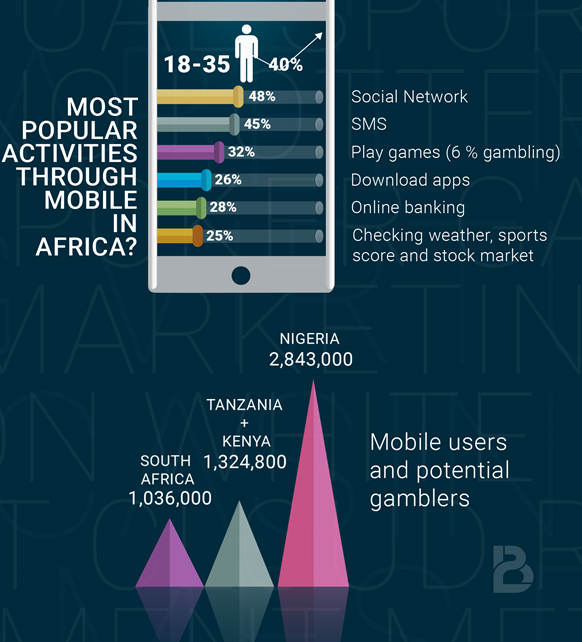 Analyzing the most popular activities among mobile users, statistics highlight an attractive number of potential gamblers in Kenya, Tanzania, Nigeria and South Africa. At the same time, studies say that by 2018, the mobile betting market in Nigeria, South Africa and Kenya would have reached $37 billion. The potential of the African continent, the spread of mobile, and the growing number of gamblers is indicating to land retailers that their next step is to move from Shop to Mobile and Online. But how can land-based retailers make this change? On the 23rd May, Fried will be the designated speaker of the Sport Betting East Africa Summit in Kenya, exposing the tools for African Retailers to move Online. BtoBet will be present at stand n.105 during SBEA trade show in Nairobi, from 23rd to 25th May. Read more in the A. Fried’s interview for CalvinAyre here.